This is not at all how the season was supposed to go for the C's. Heading into this year, the Boston Celtics were considered the team to beat in the Eastern Conference. They were coming off of a breakout year from the season prior and Gordon Hayward's return had many believing that Brad Stevens' squad could even hold its own against the Golden State Warriors. With All-Star weekend almost underway, it is clear these expectations for the Celtics were way off. Currently, the team has a 35-21 record, good for fifth in the Eastern Conference. And as the following video shows, Boston fans are not happy with how their team is playing. 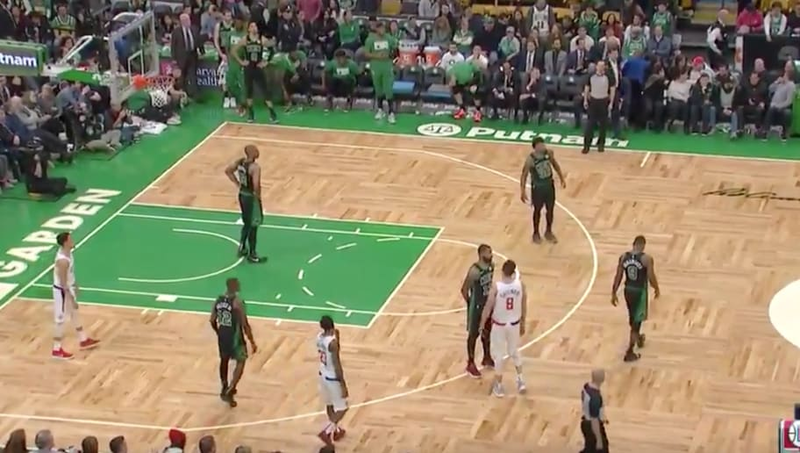 Check out the Celtics getting booed off the court after blowing a 28-point lead against the Los Angeles Clippers. Considering the abundance of talent on the Celtics' roster, they cannot be dropping games to the likes of the Clippers (eighth in the Western Conference). Boston fans have come to expect championships year after year, and the underwhelming season the Celtics have had goes against everything these fans stand for. The Celtics need to get their act together quickly too, as the Milwaukee Bucks, Philadelphia 76ers, and Toronto Raptors are only improving as time goes on.